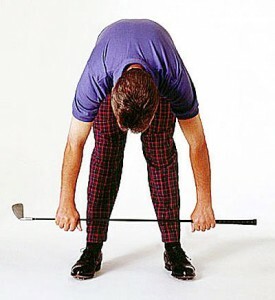 •	The very first thing that you have to do is check the clubheads. If the clubs have been used for a long time, they may have a shiny worn spot in the center. Buying these won’t be a good option. This is because the club face of these clubs will not be able to hold the ball well. In addition, you must also make sure that the grooves have properly defined edges. A club with indentations may affect the flight of the balls and hence you must avoid buying it. •	On the list of the golf tips for buying a used golf club, the next thing is to check the shafts for indentations when it’s a graphite one. Twist the grip and test the torque by heading it in the opposite direction. If the club does not show any significant resistance level, it indicates its weakness and hence you must not opt for that. In case of steel shaft, see to it that the club has not been bent back into shape. •	Make sure while checking for grips that there are no cracks, splits and worn areas. 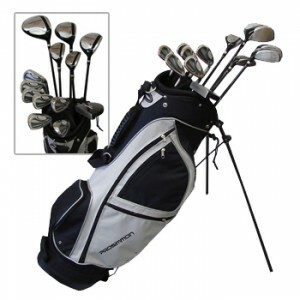 •	Sometimes, it has been found that the new ones cost lesser than the used golf clubs. Thus, before buying the used golf clubs, you must check the current market rate for the same model. This is one of the most important golf tips to consider while buying used cubs. •	Majors: The Masters Tournament, U.S. Open, the (British) Open Championship and the PGA Championships constitute the four major annual events in the world of golf. Each of these four leading events receives 100 points as far as the Official World Golf Ranking or OWGR is concerned. •	WGC: This event organized by the PGA TOUR stands for the World Golf Championships. It comprises a set of events that is co-sanctioned by the International Federation of PGA tours. The events that fall under this category are the major attractions for the pro golfers from across the globe. These players also include the ones who are not the members of the PGA Tour. •	Unique: The Hyundai Tournament of Champions, which is the very first tournament of the season and the Players Championship constitute the ‘unique’ category of the events conducted by the PGA TOUR. The Players Championship, besides all the majors and the World Golf Championships, is the only event which invites entries from the elite golfers across the world. •	Playoff event: This event consists of the last four tournaments of the FedEx Cup having fields based on the FedEx Cup rankings. •	Team: Consisting of 12 players is the United Stated team which competes in the Ryder Cup as well as the Presidents Cup every alternate years. •	Regular: These are the weekly tour events, which might vary in status accordingly. The position of the event in the schedule, its age, repute of the course, association with ‘legends of golf’, etc. are some of the factors that determine the status of the events. •	Invitational: It is similar to the regular events, but it has comparatively smaller field consisting of around 100-120 players. •	Alternate: The matches that are played in the same sports week and are considered as the higher status tournament with reduced prize money fall under this category of events operated by the PGA TOUR. •	Fall Series: After the four FedEx Cup season, this is the very series of events that concludes the season. make my ex boyfriend want me back fast. fun exercises to do in a dressage arena, ex boyfriends who want to get back in the future, etc. what To say to make your ex boyfriend want you back, i broke up with my boyfriend i want him back what do i do. Emotional involvement in whatever we do matters to success. Similar is it in the case of success in golf tournaments. Determination to do the best and zeal to succeed are the emotions of every performer and every player. A golfer too needs to have these emotions. Such strong emotions as determination and desire are the driving forces to keep a golfer on the track leading to success. However, it is necessary to these emotions in check at times. It is one of the important golf tips to take into account. It is natural if a dog bites a man. But it is an unnatural event if a man bites a dog. Similarly, an aspiring golfer should master his emotions instead of being mastered by them. People who are overpowered by their emotions are blind in brain. They can’t think or act on the spur of the moment. But a golfer needs to be conscious and have a balanced mind during course of a golf tournament. It is no wise to get emotions in the way of victory in the game of golf. It helps being practical. Practical emotions are stronger and more positive than mere emotions. 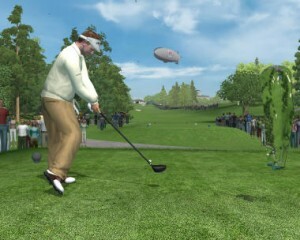 The golfer should keep his senses open when he is in the field. Driven by an ardent zeal for success, golfers often become over conscious about the way they perform and make shots. Here their emotions clash with the on-the-spot ideas and thoughts. The emotional quotient of eminent golfers is among the factors contributing to their success. One of the golf tips is to keep the emotional level neither high nor low. Emotional indulgence in the game of golf is good for outstanding achievements in tournaments. But obsession with emotions like strong desire to touch the dizzying heights of success may be the bane of performance in the field. Creativity depends on imagination, perfection on practice, knowledge on learning and experience on work. Likewise, performance in the field depends on fitness, mental and physical. Some opine how a golfer performs in the game of golf depends on how he has mastered the golf playing tricks and techniques. Many opine out of their real-life experience that physical fitness is the best technique for a golfer’s performance improvement. Physical fitness of a golfer is synonymous with golf fitness. The two areas of fitness to focus on are flexibility and stability. Besides making efforts to master the tricks and techniques of playing golf, golfers should work on their physical strength and muscular flexibility. 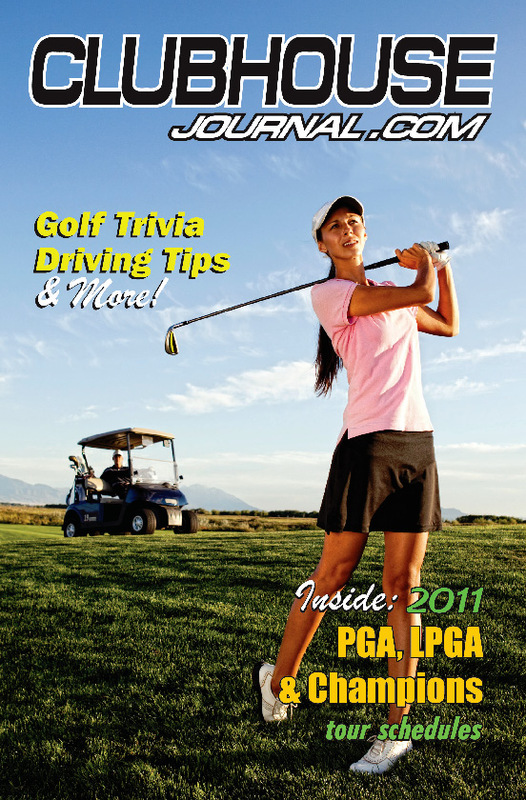 It is among the golf tips suggested by golf pros for the next generation of golfers. Fitness and flexibility of muscles reduces injury risks to the body during the hours of the game. According to the experienced golfers, muscles are the powerhouse of the body. They support and strengthen a golfer when he makes shots and swings. Proper conditioning of the muscles makes a big difference in the way golfers perform in the field. In brief, muscular strength and endurance is a must for good performance. Would-be golfers and budding golfers need to incorporate muscle-strengthening exercises into their fitness regimen. Stretching and strengthening exercises tone the abdominal muscles and the muscles of back as well as hips. Tight and inflexible muscles are of no help particularly in the game of golf. Pro golfers make large swings with a wide range of motion because of good muscular flexibility in their shoulders, hips and torso. Weight bearing exercise and cardiovascular workout are very important for upcoming golfers. Activities making a person sweat and feel short of breath are good for the heart or cardiovascular system. Cardiovascular workout lowers the body cholesterol level and raises the rate of metabolism. Weight bearing exercises are good for the bone health. These exercises two or three days a week add to the muscle mass, support the skeleton and help the body develop a perfect balance that golfers require to make impressive shots. Moreover, weight bearing is part of a golf exercise regimen. Aspiring golfers would benefit from these exercise-related golf tips.